Crazy Rich Asians is a bit of a Rorschach test, signifying different things to different people. In the US it’s been hailed as a triumph for diversity, as Asian Americans see themselves represented in a big budget Hollywood film. In Singapore it has drawn flack for its exclusion of the Malay and Indian cultures that make up significant percentages of the population. China hasn’t been overawed by a Hollywood film with an exclusively Asian cast, as they have a long established film industry that is perfectly capable of producing their own romantic comedies. For Australia, well, it’s hard to say, but it certainly seems to have a lot of interest around it that suggests we may be following the US model. In short (as we’ve only touched on a few of those issues), the whole thing is a bit of a Gordian knot, and although it can’t go without passing comment, it’s certainly not the main focus here. Instead, let’s try and review the film. 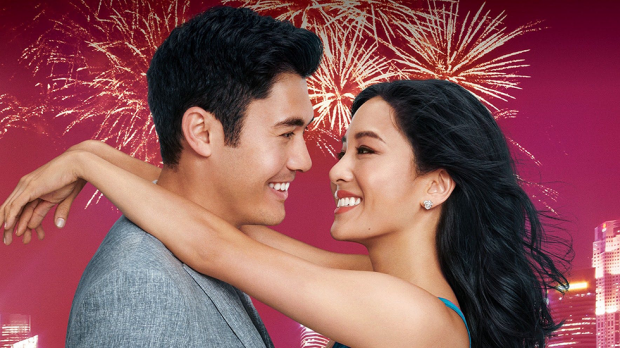 Based on the 2013 best selling novel, Crazy Rich Asians follows New York economics professor Rachel Chu (Constance Wu) as she heads to Singapore to attend the wedding of her boyfriend’s best friend. Unbeknownst to her, she is dating the scion of one of the wealthiest families in Singapore, Nick Young (Henry Golding). As Rachel is swept up in the world of wealth and luxury, she also realises that there are forces at work to split her and Nick apart; not the least of which is the powerful matriarch of the Young clan, Nick’s mother Eleneor Sung-Young (Michelle Yeoh). Other than the aforementioned cultural considerations, and the ostentation display of wealth and privilege that will make you thumb through the Les Misérables songbook while checking eBay for guillotine oil, Crazy Rich Asians is a rather classic Hollywood fairytale rom-com. It is charming in its own way, although a lot of that is through the work of the cast rather than the story per se. The story itself is fairly predictable fare, combined with a gorgeous travel log showcase of Singapore. Some of the issues being discussed, and their relationship to cultural identity and heritage, well that is new — and is going to speak to a number of people. Constance Wu (Fresh Off the Boat) manages to come across as an amiable fish out of water, swept up into the fantasy world of the uber-rich. She’s perfectly cast in the lead, winning the audience over with her intelligence, adorable sense of fun, and fierce determination (and helped extraordinarily by having the amazing Awkwafina to bounce off of). Henry Golding is serviceable as the princling of the Young line. He’s charismatic and despite the overwhelming case of affluenza, you can actually feel some sympathy for the character, as he is placed on the horns of a dilemma. As for Michelle Yeoh (Crouching Tiger, Hidden Dragon) …well, she’s Michelle Yeoh… fierce perfection, but capable of making the audience see her vulnerability as well. Taken on its own merit, Crazy Rich Asians is a fine dose of romantic fantasy, but as the first Hollywood film to have a majority Asian cast in a quarter of a century, its significance is something more.